Amid expanding awareness of Bitcoin around the world, people are constantly searching for the best places to purchase cryptocurrency without hassle. 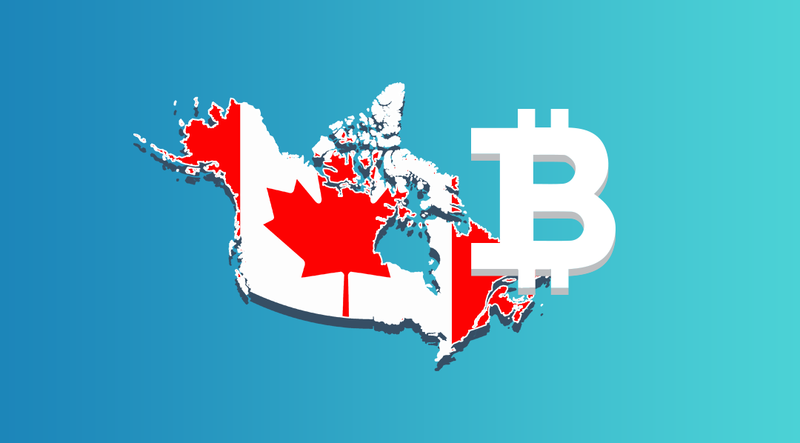 Being a forward-looking country, Canada is not an exception, and its people is expressing high demand in Bitcoins, for various purposes. But they all face the same question — how to buy Bitcoins in Canada. And this article provides an answer. As said, there are various purposes for buying BTC. As Bitcoin transfers are extremely easy and cheap, some people choose to buy Bitcoins and use them to send money to their relatives living on the other side of the world. Others invest in cryptocurrency, believing that its price will rise to the moon. Bitcoin can also be used as a payment method to buy goods and services online. Finally, there are professional traders who use Bitcoin volatility to increase their earnings. No matter what you need cryptocurrency for, you still have to find the best place to buy Bitcoins. When it comes to buying cryptocurrency, several ways come into mind. You can either find someone close to your location and buy coins personally, search for a Bitcoin ATM, or find a trustworthy Bitcoin exchange. The latter is the most popular and reliable way to buy Bitcoin in Canada, and worldwide. Why? Because when buying Bitcoins from someone you found on the Internet, you can face scammers; ATM machines can work incorrectly, and their quantity is so low that it’s almost impossible to find them, unless you live in a truly large city. Bitcoin exchanges, on contrary, are available all over the world, provided that you have Internet connection, and, of course, money. Finally, finding a legal exchange with user-friendly interface, convenient payment methods and high security, is not as easy as it may sound. But, if you care about your funds, and still want to buy Bitcoin in Canada, it is possible. Many Canadians choose CEX.IO exchange to buy Bitcoins in Canada, because of its reliability and high reputation. CEX.IO is a UK-based legal company operating since 2013. What attracts customers to CEX.IO is the ease of buying Bitcoins using payment card. It is as easy as buying goods on the web in everyday life. In fact, all you need to do is link any Visa or MasterCard to your profile and choose the amount of Bitcoins to buy. What is also important, CEX.IO offers a unique feature on the market — instant withdrawals to payment cards. Therefore, you can withdraw funds to your ordinary Visa or MasterCard at any given moment and use money right away. 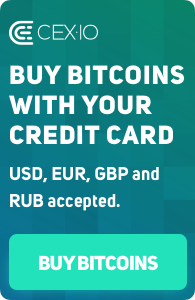 After funding account on CEX.IO, you can choose to buy Bitcoins for USD, EUR, or RUB. Although there is no BTC/CAD trading pair at the moment on the exchange, you can use your Visa/MasterCard in CAD, or any other currency, to add funds to your account and eventually buy Bitcoins. Remember, that any debit or credit card by Visa or MasterCard in absolutely any currency is accepted on CEX.IO. Once the card is added, it is permanently linked to your account, until you decide to remove it. With each next deposit and purchase, you won’t need to re-enter information about that card, as it will be already linked. For security purposes though, you will need to confirm transactions using Two-factor Authentication each time, like in any online banking or by goods purchases on the web. As CEX.IO possesses a PCI DSS certificate, you can be patient that your card information is absolutely safe. Considering recent announcement by Coinbase that it will no longer provide services to Canadians, we more than welcome you to try out CEX.IO services to buy Bitcoins with credit card or via bank transfer.